A footage of surveillance camera in China shows that a father ignites a firecracker in front of his children and neighbour kid. He puts the firecracker through a hole on manhole cover. Methane in the sewer then gets ignited by the firecracker and triggers an explosion. 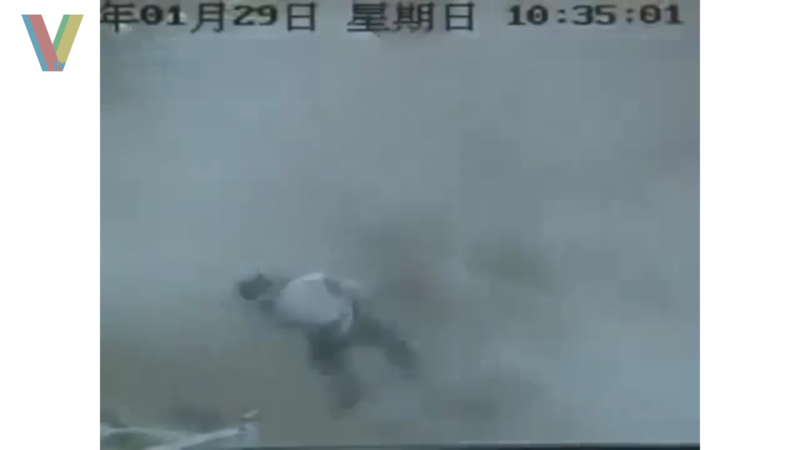 In the video, the manhole cover can be seen thrown about 10 meters to the air by the explosion. The father gets several burn injuries, meanwhile the kids are not injured. No response yet to "Sewer Explosion in China"